A few notes worth checking out if you haven't yet. Dennis Schaffers from Holland aka The Git (Silicon Limited) released in January 2004 the SIDlead v1.0... now look at this GUI prototype (or real?) he posted on a forum a while ago... hmm.. I wonder how far he got..
Hey Dennis, would you be so kind and tell us if you are still working on it ? 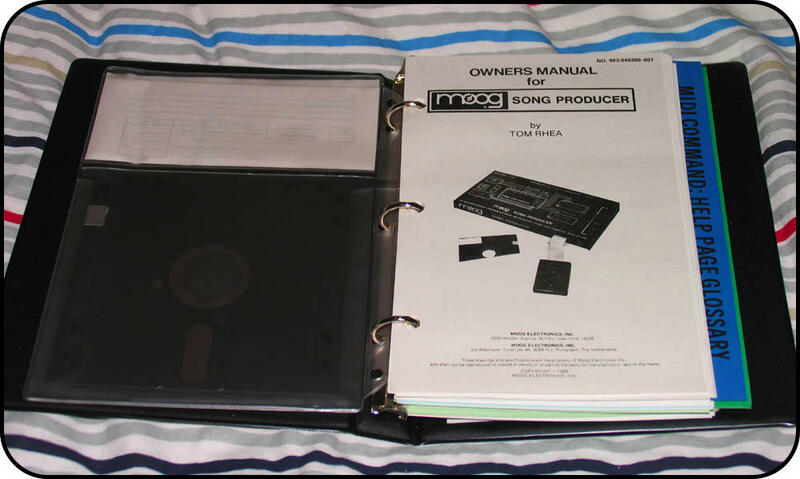 This must have been around 1987, I remember my cousin showing me one of his latest disks he copied from friends... the demo was called 'Floppy Music'.. I really didn't expect at all what was about to happen... for the first time I heard the 1541 floppy drive rattle in time, making an incredible beat with it's different pitches and motor noises ! It just killed me! I have been searching for a long time for that demo and never found it... so the only thing I found is this, and I don't know if it's has any connections with that original demo. 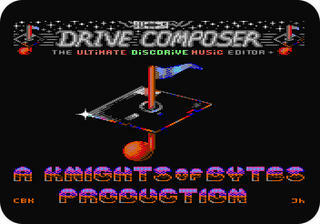 Here you have the DRIVE COMPOSER which allows you to compose your own music for the 1541 and 1571 drives with a stepper motor... there is help included to get you around and some sample tunes. For very obvious reasons this doesn't work on any emulator, you need the real thing. 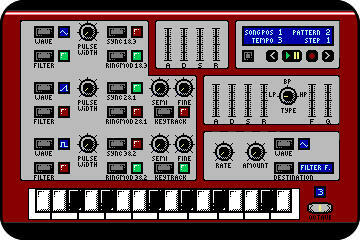 Feel free to send me your floppy compositions on mp3 and I'll gladly make a feature about it. 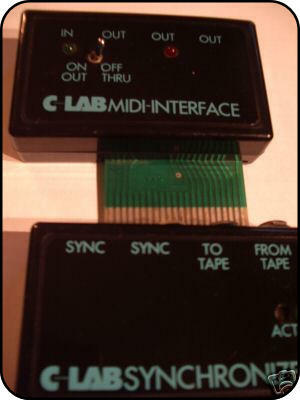 Just a thought, a midi controllable 1541 ??? 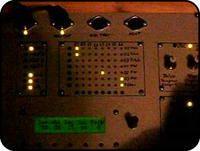 Sid music with the 1541 making rhythms at the same time ??? *beep* this must be done! disclaimer: I'm not sure how good or bad this is for the floppy drive itself so compose at your own risk. You've been warned ! Do not come to me after you've destroyed your floppydrive with your latest drum&bass track. Wait, is this a Moog Song Producer ??? 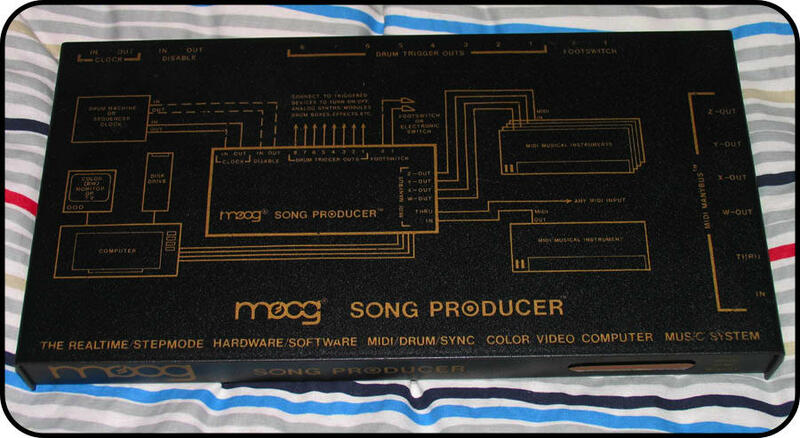 Ok.. today a kind reader sent a link of a Moog Song Producer being sold in Ebay. Nice pictures of the manual and box, not to say of the unit itself... incredible.. never seen it so clear & sharp! Thanks Thomas. Finally we can admire how beautiful the Moog Song Producer is.. too much for simple words... and in such mint condition and with everything that came with it... it's terrible !!! we want it nowwwww!! Why didn't you tell us before putting it in ebay ??? Why.. This is going to be a tough week indeed as there are still 6 days left for the auction to finish. ermm... and reading the description of the auction, wasn't it me that someone who said that quote ? I feel flattered. Do not dare to bid on this or you're dead! Update: I got in touch with the owner and he sent me bigger pictures. Click to see the clearest pictures of the Moog Song Producer on the internet ever. Yeah. check this out, an original C-Lab MIDI interface (What a classic) with the C-Lab Synchronizer for sale... two rare pieces at one go. It can't be true. 3 days to go... do you want it too ? Desert Planet in Germany ??? 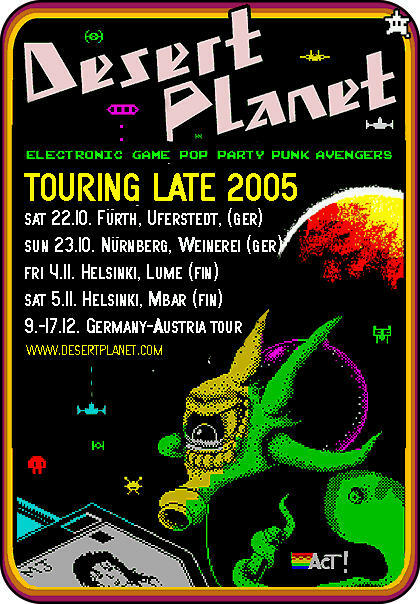 Lately I'm missing loads of gigs announcements, even in Berlin where I live, I tend to see the posters the day after it has happened, I wonder if it happens to you too. Anyways, just saw that Desert Planet played yesterday in Germany, and that they will also be playing tonight in the Weinerei in Nürnberg. Well... hope they get a date in Berlin in that Germany-Austria tour in December. About a month ago I posted about Julian Schmidt aka "a Boy and his Sid", and it seems that he has finally made some pictures (just saw one really) of his Midibox SID hardware he is building. Ok, the midibox is nice, but the coolest thing is that he also coded a 2 player game of pong in C++ that you can play with MIDI controllers inside the hardware, just check the video and see for yourself. You can also download the game and use it in your Midibox. Nice One! 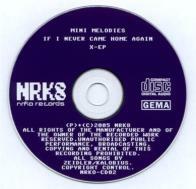 released today, a project by mini melodies called "if I never came home EP" released through nrk8 records. mini melodies are Sascha Zeidler (Music) and Ruth Kalobius (Vocals), both living in Germany and working as a band since January 2005. 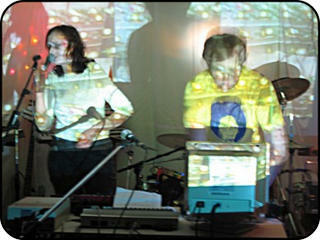 Good to see new bands getting active and performing live with the Commodore 64. You can listen to some short audio clips and order the CD from their website if you like. Now that the Sid Compo V is running i'd like to comment the tunes that are already online, I'm only going to comment those that catched my attention, this is just my personal opinion and I'm not involved in any way with this competition. It's not even a full review. These are the four songs I prefer right now, each one has things I really like, let's see how the others are when they come in... still 2 weeks to go. interesting tune with a nice buildup, yeah... cool break in the middle with some triplets based breaks, the way I like them, the end is also quite rocking. yeah. wicked end. The end does it for me.. like it a lot. good one. Some cool sounds. awesome tune with some very cool instruments and a wicked bassline. yeah the reversed muted break.. Enjoying this one. going through 2 minutes it doubles speed going into drum&bass mode and then comes back to it's original speed.. hmm yeah.. very nice arrangements.. 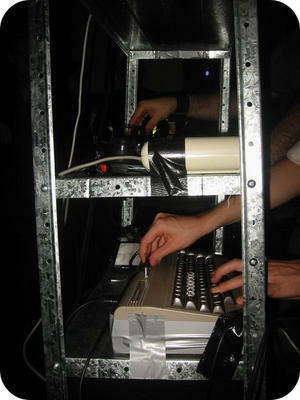 I'm a great fan of noise and leftfield music, love it.. a bit short perhaps or does my Sidplayer not play it correctly ? From Perth, Australia comes the ill electro sound of Chrism & Fenris with an appearant chaos of breaks, bleeps and Commodore64 synth drones that you will drive you nuts for a while. Don't forget to check their netlabel ScienceGirlRecords because there is a software section with 2 Commodore64 synth apps I haven't had time to fully explore yet. 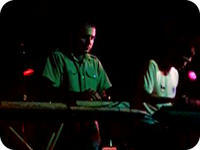 A video peek into one of their live sets is here. NES,SEGA and GB music on the C64 ??? a surprise to myself... and maybe a for a few of you too. In 1998, Chris Covell decided he needed to play PSG .SND format music on the Commodore 64 SID chip, so he programmed NESSIDPlay, a little program that allowed you to play NES, Sega Master System and Gameboy tunes (extracted from an emulator) directly on your Commodore 64, featuring 4 NES channels somehow squashed into the 3 SID channels. Not a bad idea my friend ! ... there is very little comparison. 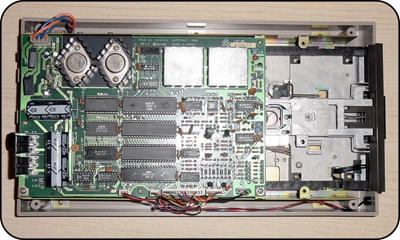 The NES has more sound channels, but is highly primitive. The SID has synchronization, ring modulation, filtering, resonance effects, etc to its benefit. The NES has 5 sound channels: 2 square wave, with only 4 selectable duty cycles; 1 triangle wave; 1 noise channel; and 1 DMC sample channel. These assignments are fixed. Frequency is controlled through an 11-bit combination of registers, and volume is controlled through a 4-bit volume register. To its advantage, the NES can play 7-bit samples through its sample channel. Let's go see Jeroen Tel live ! Prepare for this! The ADE 2005 is an electronic music event in Amsterdam that will take place the 27/28/29th of October 2005. Massive program with 300 DJs/acts taking place in 30 clubs in the city of Amsterdam. In the program there is a fine micronight on the 27th October I wouldn't miss if you would like to see Jeroen Tel live, founder of the Maniacs of Noise, one of the most prolific Commodore 64 musicians, he has composed music for many games and demos and is the composer for many C64 cult classic tunes (The Beginning, Noisy Pillar, Scout...) and a true Digi musician with tunes like the one of the Turbo Out Run game, a rad electrobeat mix of the classic Out Run Tune with voice samples of himself. O-o-out-run ! Listening again to his tunes from the HVSC collection, I discover how I really admire the way Jeroen handles the filters of the SID, very detailed filtering and modulation going on in most of his tunes. The complete ADE 2005 program. ◊ same micronight vs Dave Clark next day on another venue in the Netherlands too. Wow, I just read from Vorc that there is a project that takes the Commodore 64 SID sounds to the Embedded Computing world. How amazing is that ? It's called the Jester, and it is a sound emulator based on the 6581 SID chip, the cool thing is that it's written entirely in VHDL so the thing is making sounds with real oscillators, envelope generators, modulators and filters. To drive this, you need any Altera Nios II Development Board with a Nios II processor to emulate the 6510 instructions. Hmm... What I don't really get is that it hosts a 24bit audio codec with two inputs and two outputs... haven't really digged in.. 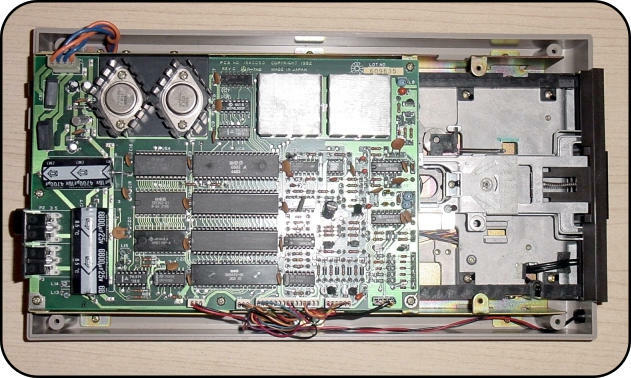 In the site there is a PDF file and some schematics..
"...PSID64 is a program that automatically generates a C64 self extracting executable from a PSID file. 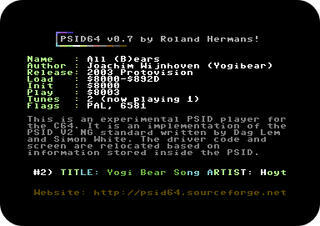 The executable contains the PSID data, a pre-relocated player and may also - if there is enough space available in the C64 environment - contain a demonstration program with information about the PSID file..."
Hmm.. nice.. you can also use the + and - keys to play next and previous song respectively, it will show in the screen the song info that is currently playing. Releases available as pre-compiled binaries for Linux and DOS. Another inspired project for other Commodore computers like the C128 , Plus 4 , etc.. here. If you are using a 64HDD environment, you will need to know about this.